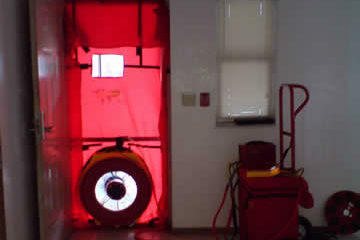 As part of the Building Envelope Assessment, the Blower Door (a diagnostic tool that measures the air leakage of the building envelope through unwanted air infiltration/ex-filtration) and methodology we use meet the latest ASTM standard (E779-03), and provide our customers with critical information concerning the air leakage of their facilities. 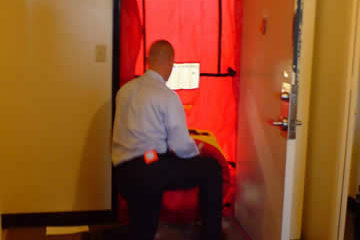 Blower Door testing involves an appraiser placing the building under a known pressure to measure the airflow required from HVAC systems to maintain differential between indoor and outdoor environments. 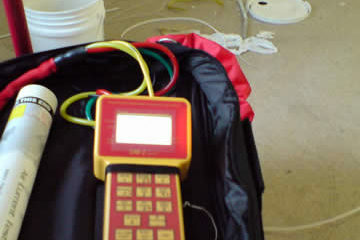 Interior pressure compared to exterior pressure is measured in Pascals, creating data that is used to determine the building envelope’s air leakage profile. This data is used in conjunction with a comprehensive visual inspection, infrared technologies and calculations to determine energy saving solutions for your facility. A blower door can measure the airtightness of buildings, airflow between building zones, and to test ductwork airtightness to help physically locate air leakage sites in the building envelope. Contact us to learn more about this service, and others Advanced Energy Protection provides.